4) Take a break from work – and life. I have often written about the importance of taking vacations from work, but sometimes it’s also helpful to take a bit of a vacation from life. You can do this by spending a day doing something totally out of the ordinary, away from your regular routine. Two Fridays ago, Chris took me to the Symphony for a matinee performance. 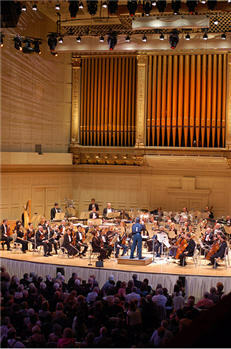 This was the first time that I had been to the Boston Symphony, and it was great. By shaking up my normal life and seeing something new, my mind started exploring all kinds of things that I don’t think about on a daily basis. For example, the day opened my eyes to the world of senior citizens (the majority of the attendees were over 70). It also brought me back to high school, when I spent many hours playing in a multitude of bands (an experience that I completely dropped after leaving high school but really enjoyed). It was also the first time that I had seen (or heard of) Leonidas Kavakos, the featured violinist, and a man of amazing talent who played a Brahms Concerto by heart that lasted nearly an hour. It was astounding. Any event that takes you out of your ordinary life will get you thinking about new and interesting things, a very positive experience. 5) Start a new venture. Your venture might come in the form of a company or an exercise routine. Your venture could be a book or cooking club, or even an online course. Whatever you decided to do, starting new things usually comes with optimism and hope – all things that help fight negativity. 6) Do something to help resolve one negative thing in your life. On any given day, most people have a number of things that are getting them down. For some people, the list is long. Pick one item on the list that you can do something about and tackle it. I handle the finances for my family, and I recently realized that it was taking so much time that I was getting frustrated. I decided to look for an online tool that would help me better manage our money. I found Quicken Online, which has simplified things immensely and helped change my entire outlook about money management. Doing that one thing didn’t solve all my negative issues, but it did help resolve one thing that was getting me down. Up next – ideas 7 through 10. In my family, I manage the money. I pay the bills, I collect the receipts, and I balance the checkbook. I think it was my mom who taught me how to do all these things. I have this clear image of her at the dining room table about once a month, using her pencil (always) to balance the checkbook. Things are different now. Instead of writing a few checks every month and paying cash or straight credit for everything else, Chris and I both use our ATM cards to pay for almost everything. From $4.14 at the Dunkin Donuts drive through to $56.77 at the gas station, we almost never pay for anything in cash. This means that balancing the checkbook has become a much more time-intensive exercise. For the past two years, I’ve used Excel to manage the accounts. My financial management spreadsheet has multiple tabs for each account, and every receipt, check, and transaction gets entered into one or multiple tabs. This is a huge pain and a major time-sink. I’ve been talking to friends and family about their solutions, and none of them seem to have a better option that would work for me. So I decided to examine the online personal finance options. The three solutions that I tested were Mint.com, Quicken Online and Geezeo. Going in I was most excited about Mint. They won the TechCrunch40 best of show, their online budgeting and money-saving tools look really awesome, and the service is free. I was able to sign up without any difficulty, but when I tried to enter my primary checking account information, the trouble began. I selected my bank from a list, entered my username and password, answered some questions and waited for the service to authenticate. Error message: Wrong username or password? I also received confirmation of this fact from a Mint representative (about a week after I sent in a question via their Web form), that said basically the same thing: Citizens checking and savings accounts are not supported, and we can’t provide the eta for the addition of any bank. Quicken Online, from Intuit, was the next solution that I tried. I had used the software version of Quicken in the past, and had a good experience. I was able to easily sign up for a Quicken Online account. There is a fee to use the service ($2.99 per month), which is certainly a reasonable amount in order to save myself some of the current money management pain that I am having, plus there is a 60-day free trial to make sure that I like the application before ever paying. The test came when I tried to set up my checking accounts. Success! I spent some time using the tool, and thought it was easy to use and intuitive. Still, I thought I could go for a free solution, so I tried Geezeo. This solution was one that I hadn’t heard of, so when I got to the site I clicked the link to watch the tour. The link didn’t work, there was no tour. And that was the end of Geezeo. I have been using Quicken Online for two weeks now, and it’s been fantastic. Dare I say that it is changing my life? 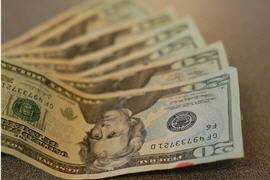 It is definitely making managing our family’s personal finances a great deal easier. Copyright 2019 by Melissa Chang, All Rights Reserved.